Parent: Its been 2 days i would have thought you would given up by now! Child: ??? ?is tha5 what you think of me? 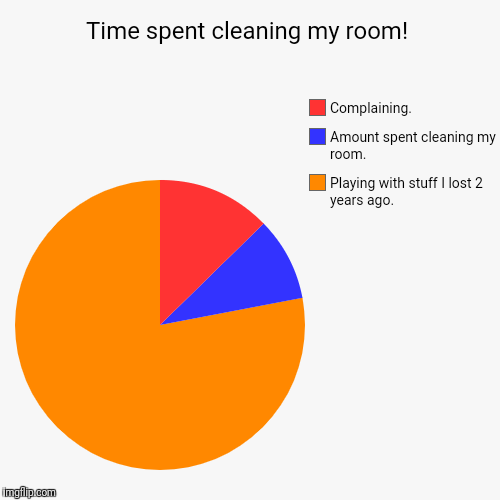 Time spent cleaning my room! | Playing with stuff I lost 2 years ago., Amount spent cleaning my room., Complaining.